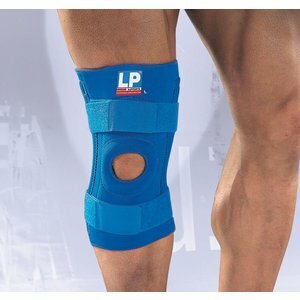 Provides and equal compression to the injured or recovering knee. The 2 hook and loop straps allow adjustment for maximum compression when needed. The additional neoprene circle pad around the patella provides padded protection and stabilisation.